The Renal Fellow Network has provided a substantial influence to my young career as a nephrologist. First and foremost I want to recognize the role Nate Hellman played in founding and inspiring both RFN and the entire online nephrology community into what it is today. Without Nate's efforts RFN would have never even existed. I first met Nate back in 2008 at the inaugural Mount Desert Island Renal Fellows Course; Origins of Renal Physiology. He told me about his blog which he had already aptly named Renal Fellow Network. I visited RFN frequently and found his daily updates extremely helpful and interesting. I'm still in awe of how he was able to generate a new post on almost a DAILY basis. After his untimely death in 2010 I felt that this incredible resource needed to continue. I contacted Conall O'Seaghdha and told him that I was interested in helping keep the site going. This turned out to be an exciting, rewarding and sometimes challenging experience. I quickly realized that RFN was an important resource for fellows, physicians, medical students, healthcare workers and importantly patients all over the world. I was shocked how far and wide our reach was. During the time I was deputy editor of RFN I learned so much about nephrology, science and people. RFN has a unique perspective to offer. Fellows are writing educational pieces about information that they are just being exposed to. In essence these are "real time" accounts of the learning process itself. This is truly refreshing for the reader of the blog. No preconceived biases or self promotion. We always strive to make sure the science discussed on RFN is accurate with appropriate citations provided when necessary. However, keeping the site going was sometimes challenging. We were always looking for new fellows from around the US and world to contribute. We solicited help from the major nephrology societies to provide administrative help and I personally want to thank the National Kidney Foundation for their support. Personally, I have benefited tremendously from my interactions of many individuals on RFN. 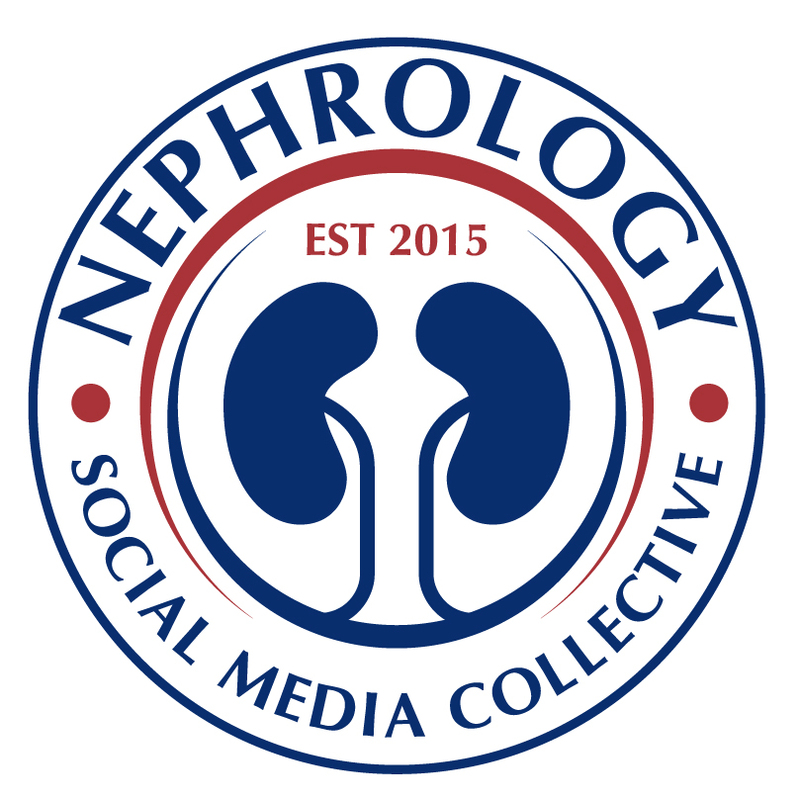 I have formed many friendships and collaborations from both RFN colleagues and the online nephrology community. My plea is for current renal fellows to get involved. The Renal Fellow Network was a gift that Nate Hellman gave to us. Let's keep RFN going strong. Share what you are learning with the community. You will be surprised how rewarding this can be. Cheers to the 1000th post on RFN. This is truly an accomplishment. Let there be many more. I was recently rounding on a gentleman in the ICU with acute promyelocytic leukemia (APL) who, after starting induction therapy with tretinoin (all-trans retinoic acid), developed fever, hypotension, new pulmonary infiltrates with associated respiratory failure and AKI requiring dialysis. It was suspected that he had developed the differentiation syndrome. Recall that APL is a variant of acute myeloid leukemia (AML). APL is typically defined by the presence of a fusion gene linking the retinoic acid receptor alpha gene on chromosome 17 with the promyelocytic leukemia gene on chromosome 15. 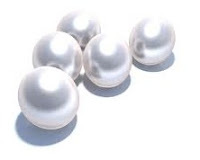 Untreated, APL is the most malignant form of AML. Luckily, it is highly responsive to therapy which usually includes tretinoin. Tretinoin allows the terminal differentiation of malignant promyelocytes to mature neutrophils. However, therapy with tretinoin can lead to the differentiation syndrome which was previously known (and posted about by Nate) as retinoic acid syndrome. Symptoms include fever, edema, pulmonary infiltrates, respiratory failure, hypotension, rash, pleural and pericardial effusions, hepatic dysfunction and AKI. The differentiation syndrome occurs in around a quarter of patients treated with tretinoin and is thought to be a cytokine release syndrome but autopsy series have also shown infiltration of various organs including the kidneys with myeloid cells. An interesting case report in AJKD details the enlargement and subsequent return to a more normal size of the kidneys of a patient who developed the differentiation syndrome and AKI which one could speculate occurred as the parenchyma was filled then cleared of cells. Treatment of the syndrome involves dexamethasone and in some cases holding the tretinoin. The team caring for my patient had given him steroids and briefly held the tretinoin while providing supportive ICU care with vasopressors, mechanical ventilation and broad antibiotics while cultures were cooking. The infectious workup came back negative his overall status improved, and within a few days he was able to come off of dialysis. 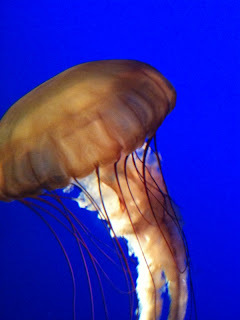 Photo: Jellyfish at the Monterey Bay Aquarium. 1) Isopropyl alcohol does NOT cause an elevated anion gap acidosis, retinal toxicity (as does methanol), or renal failure (as does ethylene glycol). 2) Fibril diameter of the more common fibrillary diseases - Amyloid, Fibrillary GN, and Immunotactoid GP - is correlated with their position in the alphabet - (A= 8-12nm, F= 16-24nm, I= >30nm). 3) Drug induced ANCA disease - 3 to watch - propylthiouracil, hydralazine and minocycline. 4) The classic EM finding in Hereditary Nephritis is longitudinal splitting of the lamina densa of the GBM producing a laminated or "basket weave" appearance. 5) In individuals 40 years of age or older with a positive family history of ADPKD, a finding of zero or one renal cysts excludes the disease with a negative predictive value of 100%. So after many months and a few intensive weeks of study the nephrology boards are now in the record books and I thought I'd examine what worked and didn't work in my study efforts. If you're part of the board police, not to worry, no board content specific information will be shared here. I started by taking a look at what Matt had previously written, including our own reader poll results about studying for the boards here on RFN. Armed with this I, along with a couple other fellows, decided to use ASN board review course lecture notes, videos and questions as our core material. We used the 2011 materials, I would have liked to have attended the live course but unfortunately was unable (and as Matt mentions, the all in cost of travel, hotel and course is high). 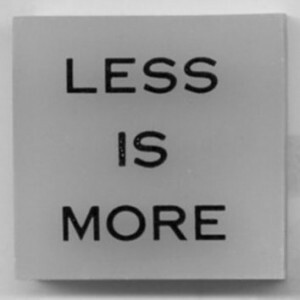 What I quickly re-learned as I watched the lecture videos (and I should have remembered from med school) is that I'm terrible at retaining things presented in lecture format. While my colleagues were happily jotting down notes and remembering things, I was dozing off and wasting hours, having to re-visit what the heck was going on. I switched over to a more active strategy of doing questions. 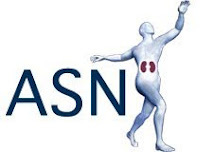 I used the questions available from the ASN board review course, NephSap (which has a huge bank of questions and answers) and those available through The Kidney Doctor. I would do a question and then review each answer choice using UpToDate and my trusty Mass Gen Pocket Medicine 3rd edition from residency (which I was shocked to learn is now on it's 4th edition! I still have a battered and abused blue 1st edition from med school :). I periodically joined up with my co-fellows using Google Hangout (which is free) to discuss broad sections of the ASN board review and practice questions. Being interactive with others helped as it challenged me to be able to explain and articulate things which sometimes I wasn't crystal clear on and I picked up details that others had recognized and I had missed. I occasionally dipped into Clinical Physiology of Acid-Base and Electrolyte Disorders by Rose and Treatment of Primary GN by Ponticelli and Glassock but for the most part I stuck with UpToDate due to the speed and ease of finding things. Matt mentions he was disappointed with NephSap questions but I actually thought they were pretty good, particularly older versions and the Core Knowledge questions. As board content experiences a lag between emergence in the literature and making it to the test, the past year or so of stuff generally isn't represented while stuff from a year or two before is starting to make it in. The Pathology NephSap is particularly good and I would say a must review for path images. The test is a now a bit longer for first time test takers than Matt mentions and now consists of four 60 question blocks. I took a break after each section to clear my head and use the restroom and also took a break for lunch after the first two sections. It's a long day, so pacing is key. A final note (and shameless piece of self and RFN team promotion) is that RFN is a great resource! Our new and archived content are a wealth of board review pearls and resources. Best of luck in your own board review efforts and for those who have taken the test, let us know in the comments what worked and didn't work for you. This month's eJournal Club concerns a paper (with an accompanying editorial) reporting the experience of renal biopsies in Norway. One issue that arises again and again is whether or not patients should undergo outpatient biopsies. The argument against this is that many complications occur more than 8 hours following a biopsy and that the complication risk is too high to allow patients to remain unmonitored at home. These recommendations were based on older data which dated from before the era of live ultrasound and the more modern biopsy needles. More recent studies have suggested that outpatient biopsies are safe and I had a conversation with one attending at the ASN last year who was surprised that everyone was not doing outpatient biopsies because they had been doing it without a problem for years. This paper, while not specifically addressing the issue of outpatient vs. inpatient biopsies, should alleviate some of the concerns that people have. After 9288 biopsies, the rate of serious complications was 0.9% (transfusion or surgical intervention). This is similar to recently published studies. There were no deaths during the 20 years covered by the study. 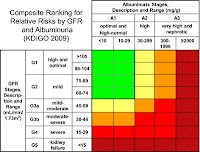 There was an increased risk of bleeding in patients with a low GFR, uncontrolled hypertension, older age and acute kidney injury. Notably there was no difference in bleeding complications when 14G needles were used as opposed to 18G needles although less glomeruli were obtained with the smaller needles. There an interesting point for discussion here - in the course of the study, there was a marked decline in the number of nephrologists performing biopsies. 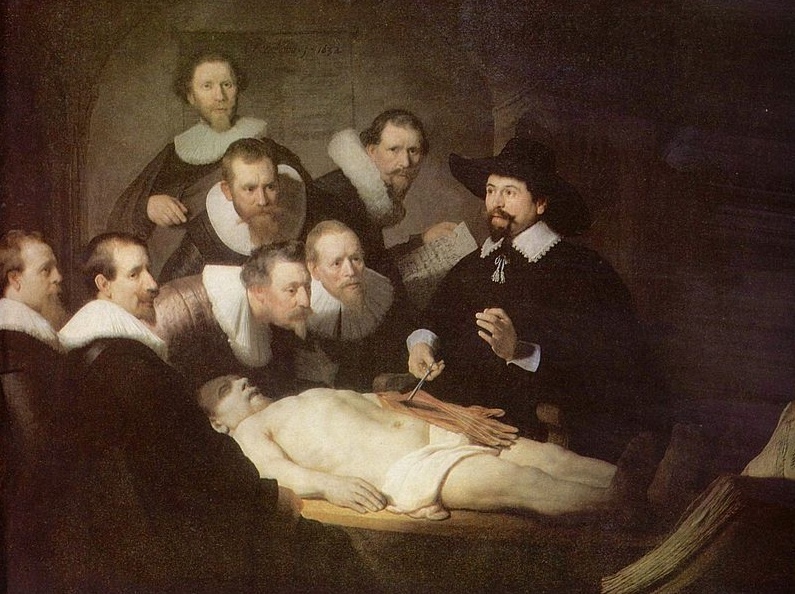 The majority of biopsies are now performed by radiologists. These radiologists are more likely to use smaller needles and thus get less tissue. Should nephrologists take back the renal biopsy? Should we be more assertive in insisting that larger needles are used to ensure adequate biopsies? Head over the eJC for the discussion. Labels: Gearoid McMahon, Journal Club, kidney biopsy, Renal Biopsy. Bardoxolone - The final chapter? Sometimes when something appears too good to be true, it is too good to be true. Last year, a paper was published in the NEJM reporting a preliminary study of bardoxolone for the treatment of diabetic nephropathy. At the time, this seemed like it might be promising but there were a number of issues with the study including the use of eGFR as an endpoint and the fact that the use of the drug was associated with a significant rise in albuminuria, both of which we raised here in a blog post. More recently, we posted again on this drug. 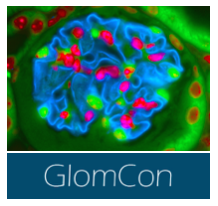 An experiment in monkeys revealed that bardoxolone downregulated the expression of megalin in the proximal tubule and that this may have been responsible for the increase in albuminuria. All this time, a phase 3 study was ongoing to determine what the true effect of the drug was in a larger group of patients. Unfortunately, it was announced last week that the trial had been stopped. According to an article in marketwatch, there were "excess serious adverse events and mortality in the bardoxolone methyl arm" according to the monitoring committee. We don't know yet what exactly happened and the company is not releasing any more data beyond this simple statement. I am sure more information will come out in the future. This is extremely disappointing. For all that it seemed too good to be true, there are so few things that we have in our toolbox to delay the progression of diabetic kidney disease that this was potentially a blockbuster treatment for this condition. There may be aspects of this drug that remain useful in some specific circumstances and it may also aid in future drug development. We will not know the answers to these questions until the final study results are published. meeting for the Annual Bloggers Night! In the PD literature, peritonitis has been referred to as an Achilles’ heel because it could lead to catheter removal and PD treatment failure. Topical antibiotics have been used for prevention of an exit site infection (ESI) which may precede and lead to peritonitis. For this purpose, most centers use mupirocin as their first choice. It has reduced the ESI significantly, but mupirocin-resistant S. aureus and P. aeruginosa ESI have emerged. Then came gentamicin which is superior to mupirocin. However, gentamicin-resistant P. aeruginosa has already been reported… How can we break this cycle? FOOD was the bright idea! Not any food but a very specific sweet treat – honey. Honey has been applied to wounds since ancient times, but only recently have we come to understand its antibacterial properties: acidity (pH 3-4), high osmolarity (3000 mOsm/kg), H2O2, methyl glyoxal, bee defensin-1, etc. In vitro, honey killed bacteria including MRSA, β-lactamase producing E. Coli, ciprofloxacin-resistant P. aeruginosa and VRE! Because of its multiple antibacterial mechanisms, there is a low likelihood that bacteria will gain resistance. But does it work in vivo? 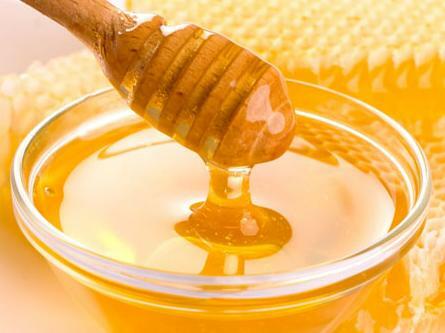 It has been shown that honey heals wounds and maintains sterility. Then, an Australian and New Zealand group tested standardized antibacterial honey (Medihoney) for HD catheter-associated infections and its effectiveness was comparable to mupirocin. Now the same group is conducting the HONEYPOT study to see its efficacy in reducing the risk of PD infection. This is one of the initiatives to improve the PD technique survival in the region which is lower than in other parts of the world. The results of the HONEYPOT study are pending, but it would be exciting if honey is proven to be an effective alternative prophylaxis with less chance of bacterial resistance. Penicillin was discovered from fungi. Gentamicin is synthesized by bacteria. Maybe it’s time to ask for honey bees for help. PVD is common in the US population and the prevalence increases with age - up to about 15% in patients over the age of 70. The prevalence of PVD in patients with CKD is far higher, one study from Italy found that 32% of patients attending a CKD clinic who were asymptomatic, had an ABI of less than 0.9 which is the traditional threshold for diagnosing PVD. Another study using NHANES data found that an eGFR of less than 60 was associated with an OR of 3.0 for PVD after full multivariable adjustment. PVD is independently associated with cardiovascular mortality and the cardiovascular risk increases as the ABI decreases. This suggests that the presence or absence of PVD could help further risk-stratify patients with moderate CKD. Interestingly, the pathophysiology of PVD in patients with CKD (particularly those with ESRD) is different from the general population. In these patients, the primary culprit is medial calcification rather than atherosclerotic plaque formation and as a result, they often present with diffuse distal disease which is not necessarily amenable to surgical/radiological intervention. The current KDOQI guidelines recommend screening for PVD in all patients on initiation of dialysis although they do state that this guideline is not backed by much evidence and that "further research is needed". Results for primary revascularization in dialysis patients tend to be poor and there is a high rate of lower limb amputation. One issue is that dialysis patients (and those with advanced CKD) tend to have significant hardening of the arteries due to the degree of calcification and this can falsely elevate the ABI. For this reason, the authors of the review do not recommend screening of all patients with CKD and instead suggest a focused examination at each visit with a detailed history and aggressive treatment of cardiovascular risk factors. For patients who are symptomatic, an ABI followed by angiography (if refractory to medical therapy or critical ischemia) is the approach to take. The authors have a number of nice flowcharts suggesting algorithms for the diagnosis and management of PVD in patients with CKD and I recommend giving the article a look. AJKD this month has an extended editorial section on the KDOQI guidelines for CKD. It is now 10 years since these guidelines were introduced and their impact on nephrology has been significant, not least due to the fact that many more patients are now recognized as having early CKD that may have been missed in the past. These patients with moderately reduced GFRs, while unlikely to progress to ESRD, still have a significantly increased risk of cardiovascular morbidity and mortality. The articles comprise a series of commentaries written by members of the editorial board of AJKD and examine the impact of these guidelines on the NKF itself, research, primary care, clinical laboratories (which now routinely report eGFRs) and the practice of nephrology around the world. Despite the fact that the kidney ultrasound is generally obtained as one of multiple recommendations when evaluating AKI, the benefit of kidney ultrasound is not clear. The post-renal causes of AKI are not very common. It adds to the cost and can subject patients to unnecessary work-ups by revealing incidentalomas. How often, then, is the ultrasound useful? In order to assess the prevalence of the post-renal AKI and determine a cost-effective use of the ultrasound, a single-center case-control study was conducted. Their conclusion is that the prevalence of hydronephrosis requiring stenting or nephrostomy placement was only 0.4% in the low-risk group. The number to screen to find a case of urinary obstruction was 223. At what cost? In our institution the kidney ultrasound without Doppler costs $600. It costs $133,800 to find one case. 4. Absence of: exposure to the following medications (ASA, diuretics, ACEI or IV vancomycin), congestive heart failure, or pre-renal AKI. The study has limitations. Not all AKI patients were studied. The cases requiring non-surgical interventions were not counted. If we would have to implement this strategy, we don’t know what the cost of missing some cases of obstruction would be. Or, here is what you can do. If your place has an ultrasound on the floor, with a little training you can have a quick look at the kidneys just to rule out obstruction in low risk patients. You acquire one more diagnostic skill, your students have one more fun on round, and your hospital saves significant amount of money! The topic of IgA nephropathy has been discussed in multiple posts here in the past. IgA is the commonest primary GN with a wide variety of presentations and prognoses ranging from isolated hematuria to a rapidly progressive GN. Over the last few years, my practice has been that if I see a patient with isolated hematuria, no adverse family history and minimal proteinuria, I will not biopsy them and reassure them that their chance of progression is very low. This is an approach that has also been supported by previous posters. An article and accompanying editorial in this month's JASN would appear to support this approach. This was a retrospective review of the outcomes in 141 patients diagnosed with IgA nephropathy with minimal proteinuria (less than 0.5g) between 1975 and 2008 in 8 Spanish hospitals. During this period there was an aggressive policy in place with a very low threshold for renal biopsy. At the time of biopsy, only 16% were hypertensive while 17.7% had no detectable proteinuria. All patients had a normal eGFR at baseline. Over a mean follow-up of 9 years, no patients were treated with immunosuppressive agents and 41% were treated with RAAS blockade. 5 patients (3.5%) had an increase of 50% from baseline creatinine while 1 patient had a doubling of creatinine (following pregnancy). 14.9% of patients developed proteinuria (more than 0.5g) while it increased above 1g in 6 patients. The only factor predicting increased proteinuria or an increased creatinine after multivariable analysis was the presence of FSGS (S1 by the Oxford Classification). These results are very reassuring and for me reinforce the idea that we should not be routinely biopsying patients who present like with isolated hematuria. It is notable that most of the hospitals in this study have stopped this aggressive biopsy policy and it is unlikely that a similar study will be done in the future. However, there is no doubt that they should be followed long term because there is a (small) risk of progression. It should be stated that these results are not necessarily generalizable to other populations - studies in Asian populations have found a much higher rate of progression and the indication for biopsy might be different in this group. It would be interesting to know what the genetic factors underlying this difference in outcomes might be. Labels: Gearoid McMahon, IgA Nephropathy, Renal Biopsy.